The GN-150 Generac provides 15,000 running watts, 22,500 surge watts. 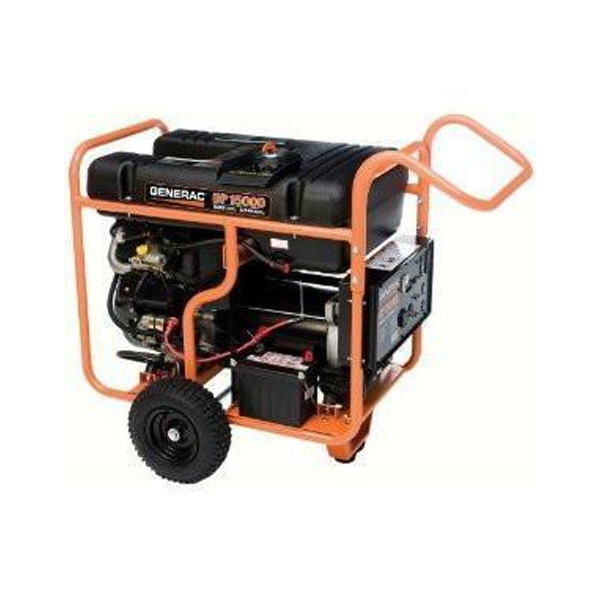 It features a Generac OHM Engine, full pressure lubrication, automotive style spin-on oil filter, extended engine life-rated 3,000+ hours, and an electronic govenor for sensitive electronics. It also features a large 16 gallon fuel capacity tank, EPA/CARB certified, battery/wheel/electric start(standard), and a 2 year limited warranty.